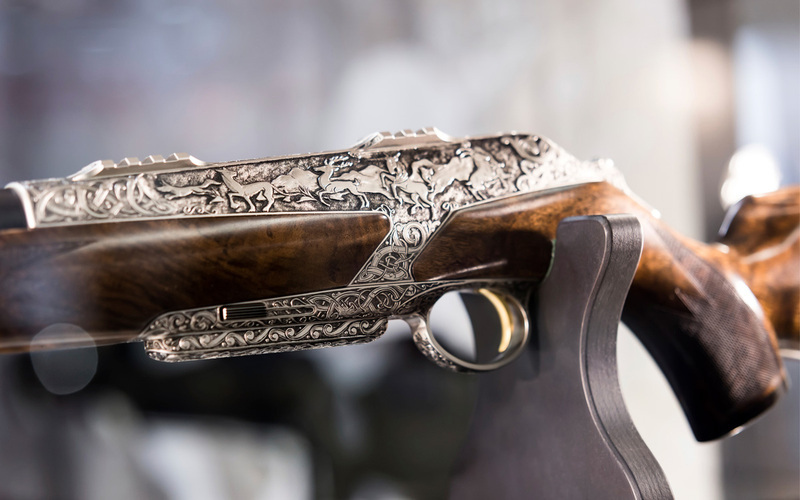 Merkel engraver Karola Knoth elaborately interpreted the magic motives of “Hunting Magic Moments” onto the system of a Helix. 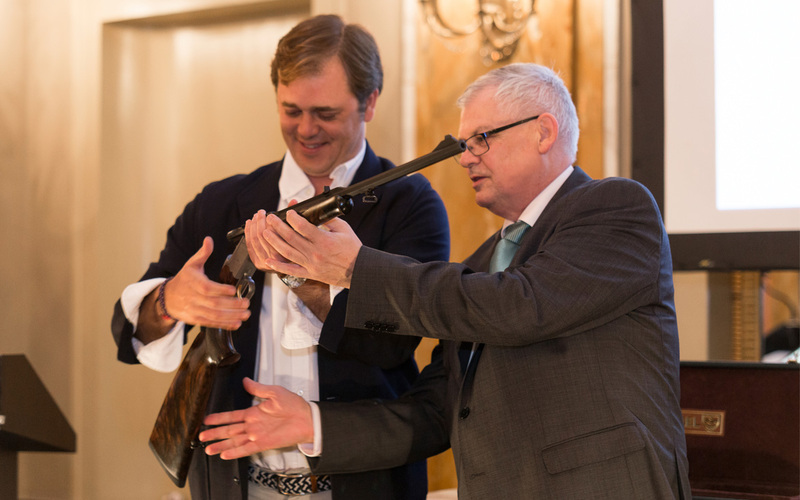 Happy Winner: At a feast for the 120th anniversary of Merkel during the IWA, Manuel Matteos of Iberalia TV (Spain) has won the auction of the “Damaszener” rifle with the number 001/120 – the image shows him together with Managing Director Olaf Sauer. The rounded net avails of the auctions will go to the children’s hospice Mitteldeutschland. 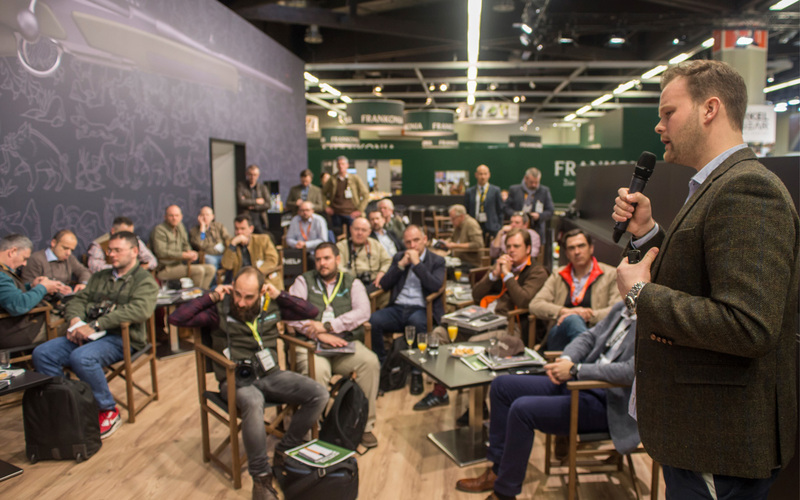 Merkel also successfully makes hunting apparel: Here the new Merkel Gear collection is presented to the journalists at the press conference. 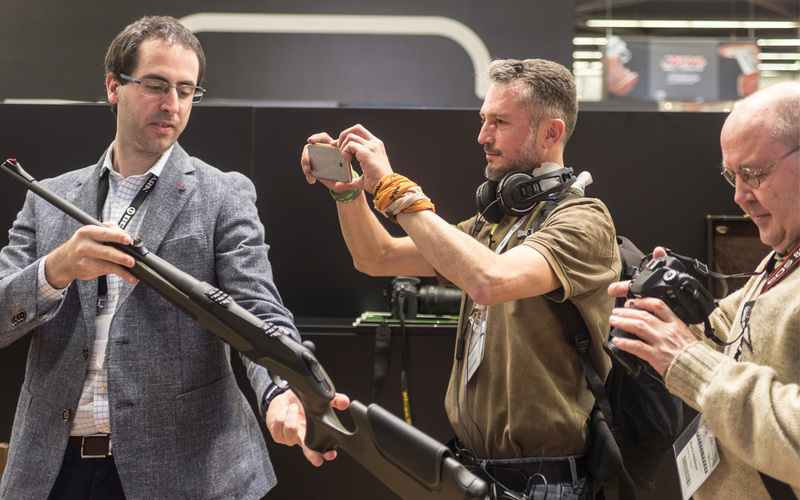 Exhibition-Highlight: In the centre of interest – as well as the media’s was the new rifle with the revolutionary SpeedStock; highlighted here for the photographers at the press conference. 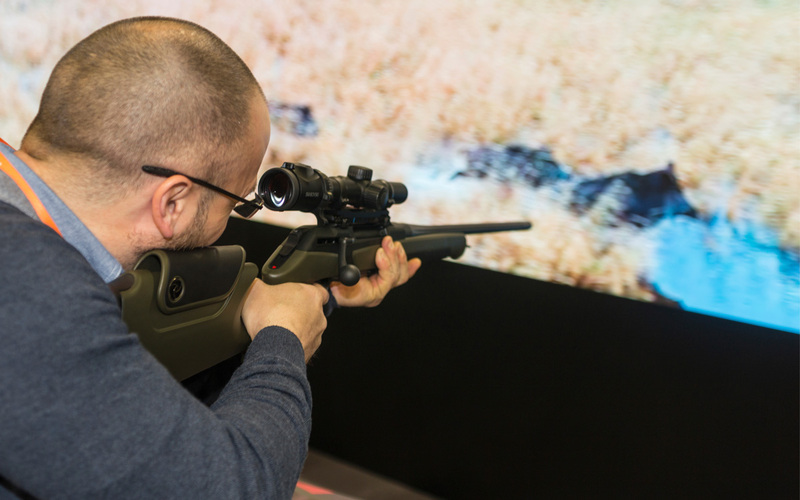 “Shooting cinema” on the exhibition booth: Here the shooting feeling with the height-adjustable cheek piece of the Helix Speedster is tested right away.